The first time I heard the name Mark Ingram was in 2006, when my newly engaged sister called to tell me that she’d found her wedding dress at his boutique. 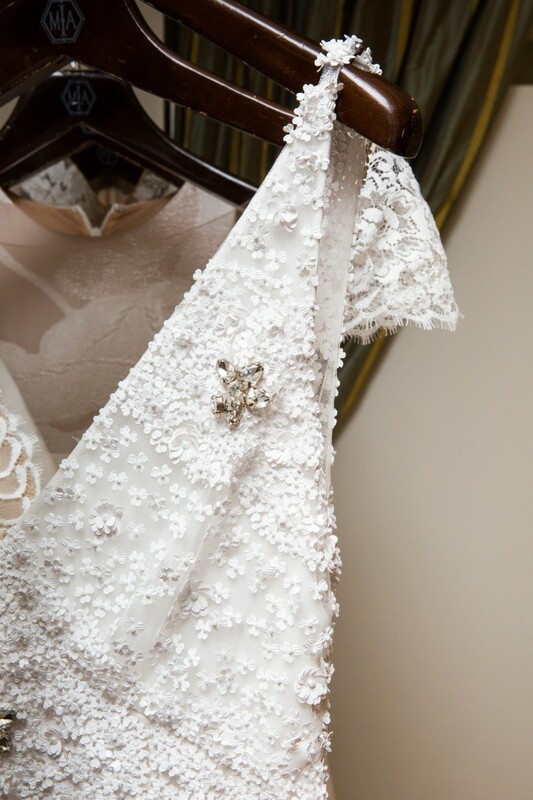 It was a satin strapless Romona Keveza gown, embellished with a lace bodice and a long row of buttons in the back. I’ll never forget how stunning she looked on her wedding day, which made my recent trip to Ingram’s Upper East Side boutique particularly special. A third-generation NYC native, Ingram graduated from the High School of Music & Art before earning a degree in marketing and management from NYU. 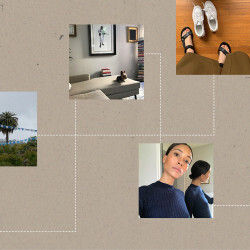 “My dream was to be a fashion director, but ultimately I ended up taking the retail route in the executive training program at [the now-shuttered luxury department store] Bonwit Teller,” Ingram says. 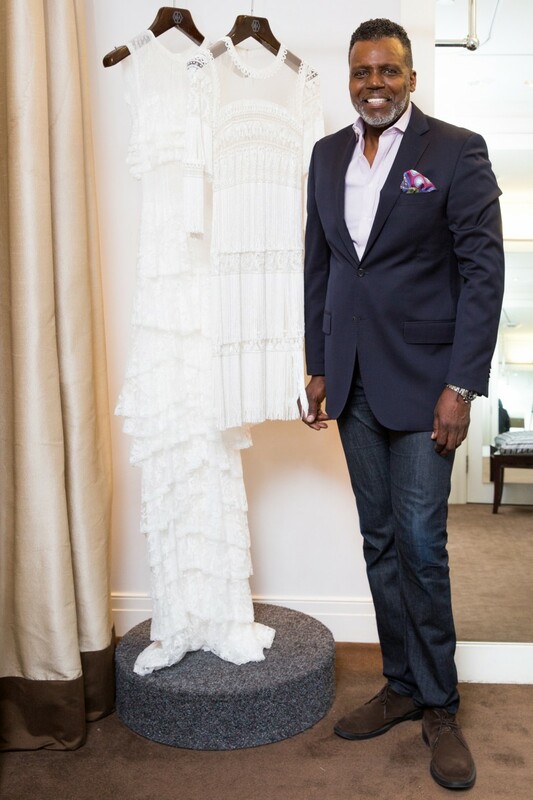 He landed at “pre-escalator Bergdorf Goodman” in the early ’80s, working as a buyer in the couture department and outfitting high-profile clients such as Lena Horne. In 1994 he took on a job that would prove to be transformative: planning his sister’s wedding. “I have one precious sister, [who’s] five years younger than me. 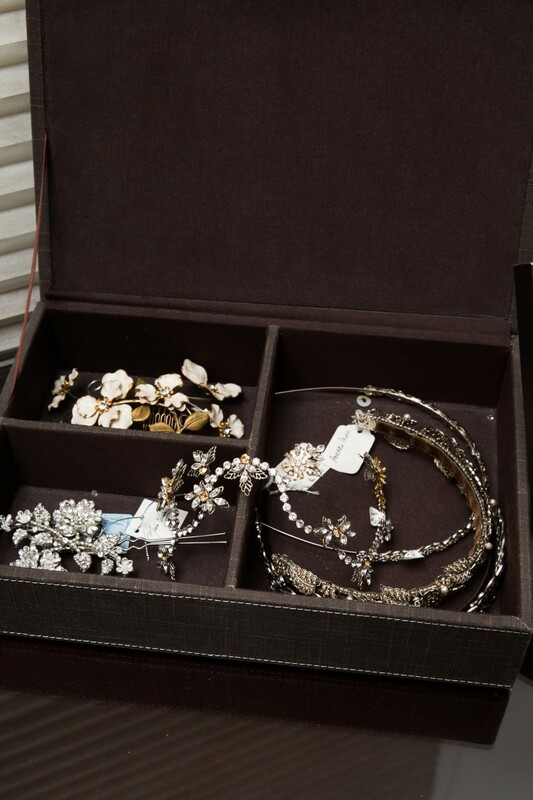 She’s lovely, but she doesn’t care much about fashion and style.” Along with their mother, Ingram planned every aspect of the nuptials, from the catering and the floral arrangements to his sister’s head-to-toe look. “I even did her hair the day of the wedding,” he says. “She basically just showed up.” Ingram loved the experience and saw bridal as the perfect niche to pursue, given his couture background. He spent some time eyeing opportunities and was named sales director at Amsale in 1996. 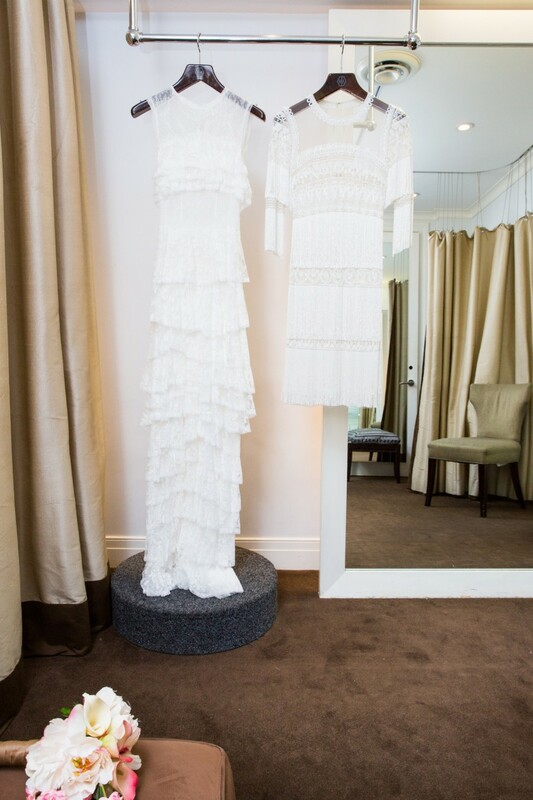 After amicably parting with Amsale in 2000, Ingram accepted an offer as retail director at the Soho bridal boutique Wearkstatt—a role that led him to forge relationships with brands and designers such as Monique Lhuillier, Angel Sanchez, and Peter Langner. When the store closed a year later, the owners encouraged him to open his own salon. 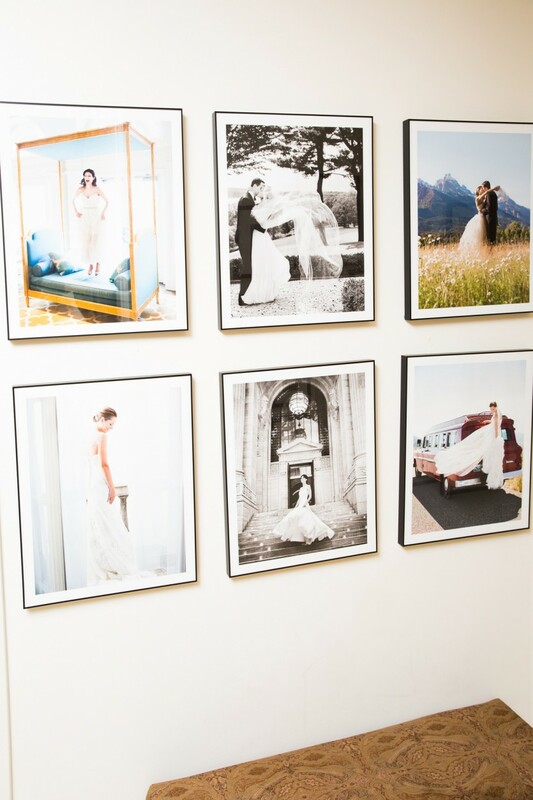 Within five years, Ingram and his clientele outgrew the original space, and today, the Mark Ingram Bridal Atelier occupies a floor in a brick building not far from its original location. 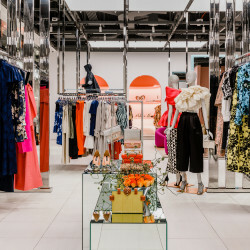 The by-appointment-only boutique has just six dressing rooms, as to keep things “private and quiet and sophisticated,” Ingram says. “We don’t really encourage the gaggle of twenty girls coming to your appointment and chiming in because it’s really distracting,” he adds. 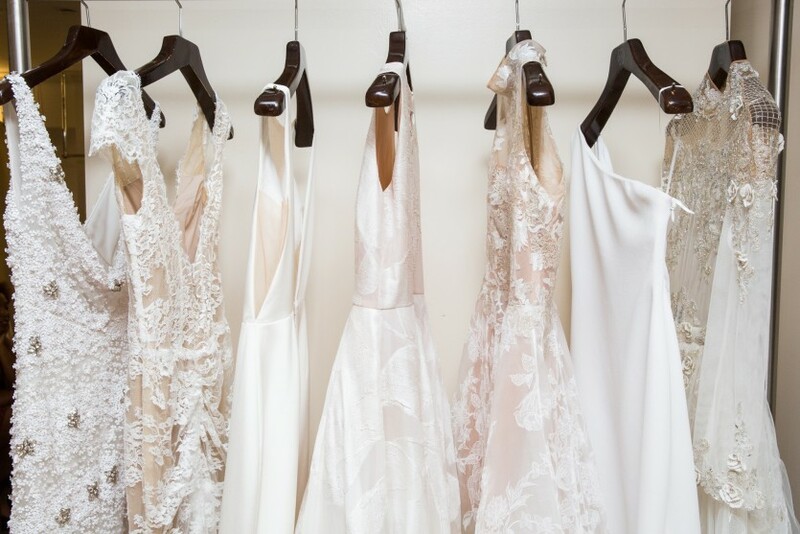 “We say, bring your bridesmaids to your fitting—to help you to learn how to bustle the dress, how to maneuver, how to go to the bathroom—versus chiming in on how you should look [at your appointment], because you know how you should look.” His is a shop that you visit with one or two people, for a shopping experience complete with champagne and an expert associate to help you find your dream dress. 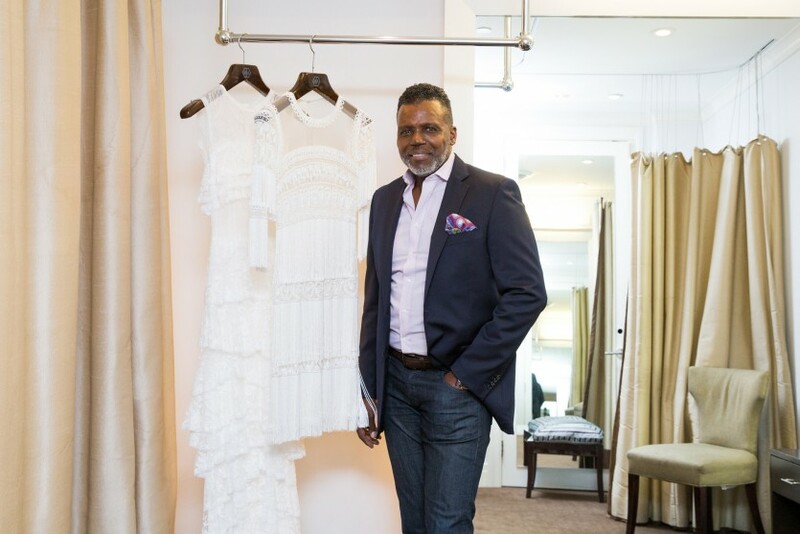 A front-row fixture during bridal week in NYC, Ingram travels extensively to markets across Europe to find gowns for his shop. 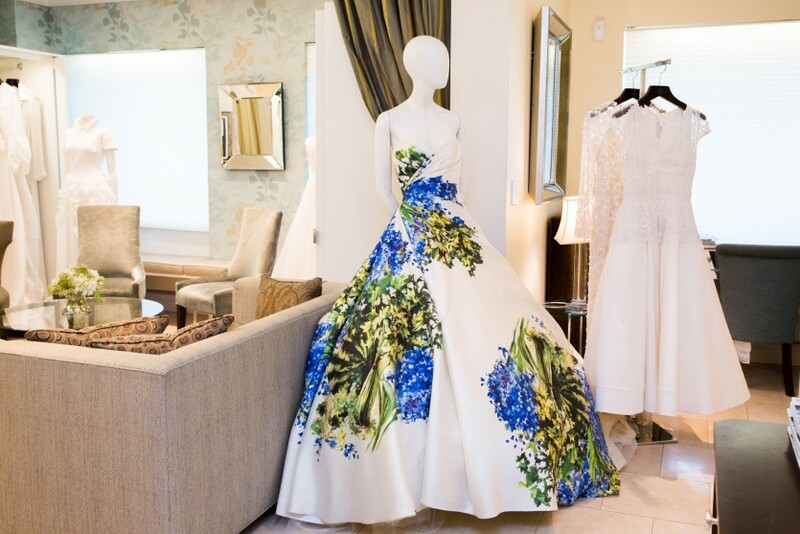 The current selection includes dresses from prominent houses such as Vera Wang, Oscar de la Renta, Elie Saab, and Carolina Herrera, hung alongside relative newcomers like Otilia Brailoiu and Mira Zwillinger. 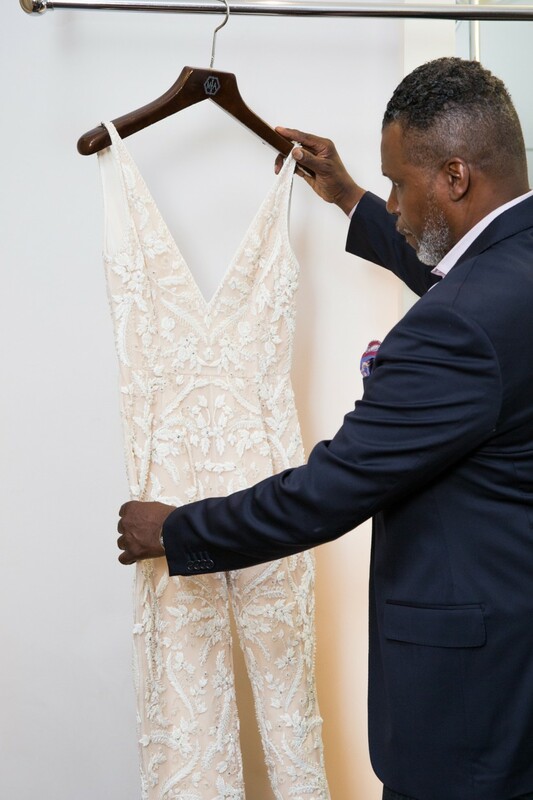 Recently he’s been stocking lots of pantsuits and jumpsuits, and after a few years of seeing brides favor sheer and ornately embellished gowns, Ingram is noticing a shift towards more simple designs.